The 13’2” Voyager is the ultimate board for exploration, loaded with features and conceptualised with epic adventures in mind. High sides, large volume and narrower width make it a high-speed cruiser, designed for competent paddlers. 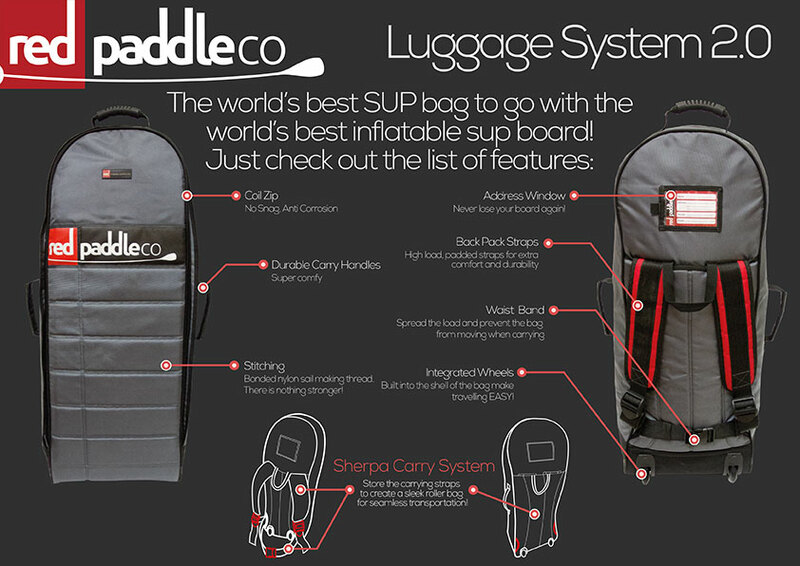 It’s got a 6 point cargo tie-down system at the front and 4 point cargo tie-down system at the back for all your gear and an extra-grippy traction pad to help keep your kit in place at the rear. MSL fusion composite and airtight coating MSL involves fusing a second layer of hard-wearing polymer to the dropstitch core at the raw material stage, removing hand gluing errors. The high-tech industrial process also saves almost 2kg in weight and makes the boards stiffer at lower pressures. * The biggest change is the weight change. The new Monocoque Structural Laminate or (MSL) layer makes the boards 4-6 pounds lighter depending on the model and also removes the potential for any bubbling. 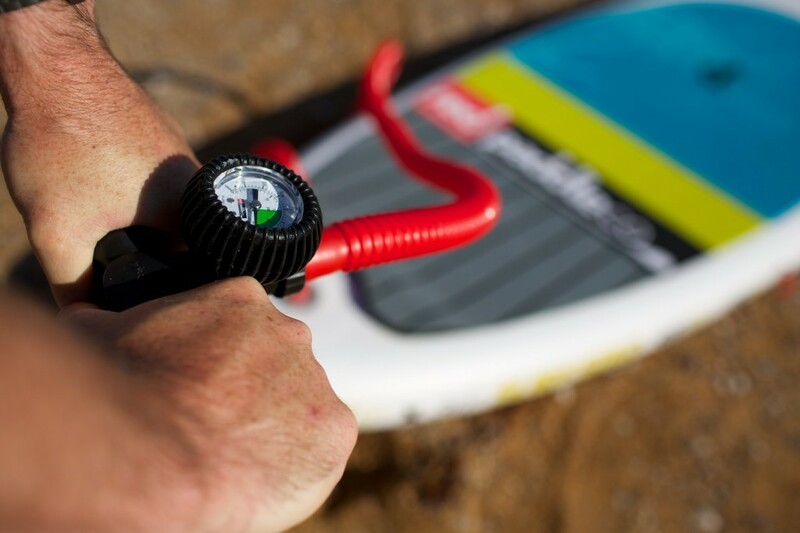 The Explorer comes complete with the best backpack in the business, a repair kit, waterproof phone case and the Red Paddle Co Tritan pump leaving you more time to paddle. The 13’2″ Explorer is 150mm thick. This thickness is perfect for non surfing shapes. It gives great stiffness and means the Explorer board has enough volume to carry a lot of equipment.